Is the skin soft? I tried making them earlier but mine turned out tough after steaming. Was wondering what went wrong. Yes. Water was definitely enough. I've been looking for soup dumplings everywhere in Paris and then came across your blog. I wasn't sure how to squeeze the soup in there but thanks to you I now know. 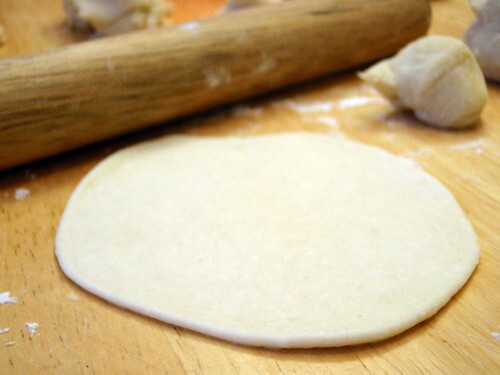 And the dough was PERFECT!!! Loved the post!!! I love your instructional videos. 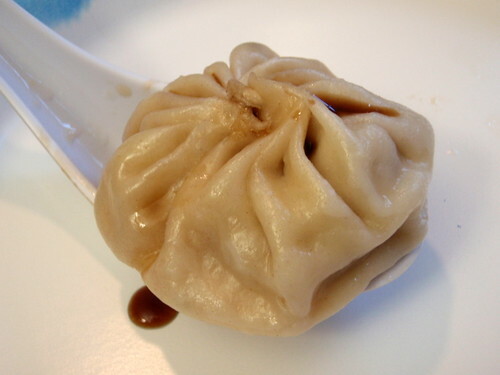 Watching this has given me the confidence to try and make xiao long bao myself. 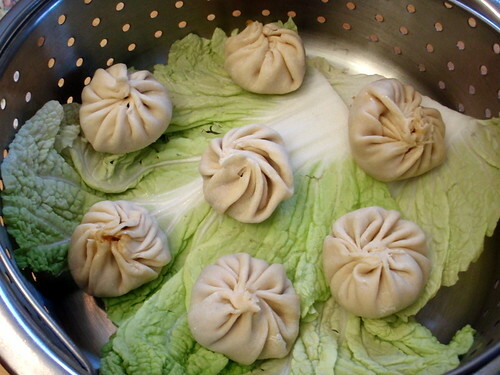 I made my first attempt at soup dumplings last night, before I found your blog. Bad timing! All the soup seemed to have cooked out, not leaked out...(no holes) but possibly steamed out. 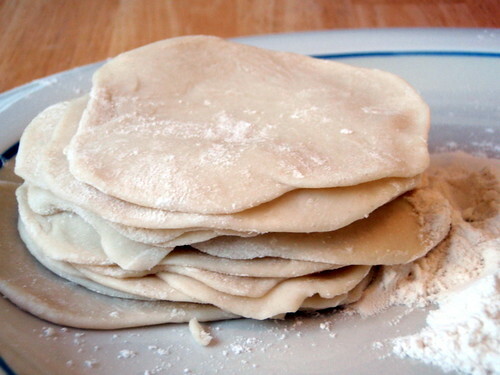 When I lifted the steamer lid, they were beautiful and quite puffy with air. But the instant they started to cool, they sort of shrink wrapped themselves down tight. Any ideas on how to prevent this? Should I twist more to try to prevent this? Thnaks for your help. 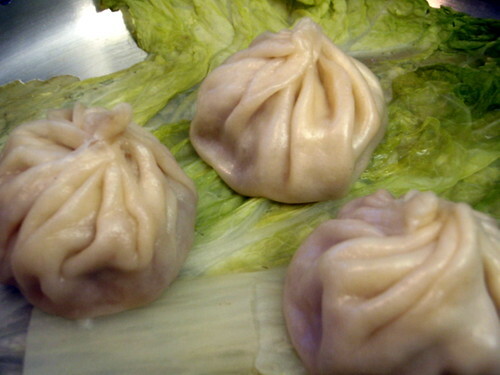 I'm so happy to have found your blog--I'm an American being introduced to Chinese culture by Taiwanese friends, and xiaolongbao are just about my favorite of all the foods they've shared with me. I would love to shock them by making authentic ones for them! One question: can you give any advice on what a more traditional filling would be? i.e. 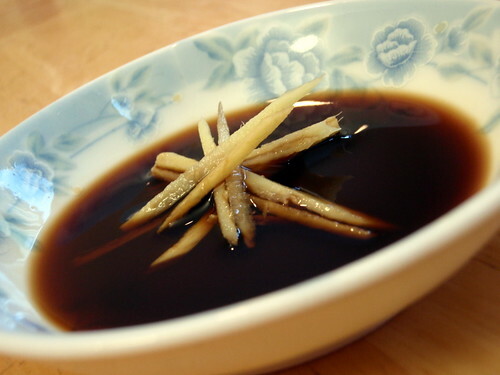 could you point me to a recipe? Thanks! @Laurel - maybe try using more filling and wrapping the dough tighter around the filling so that there's less air inside? I made this the other night for myself and my roommate! It tasted really good, but unfortunately, a lot of them broke while they were steaming. I think that they stuck to the cabbage. Do you have any suggestions for that situation? Thanks so much for your awesome blog, I love it! 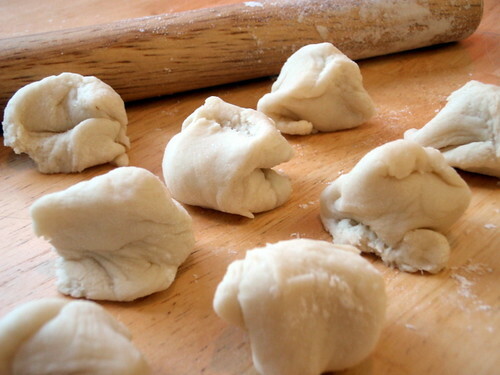 Xiao Long Bao skins are similar to how I make the dough for my gyoza. ^^ I think I'll make a vegan version next week.